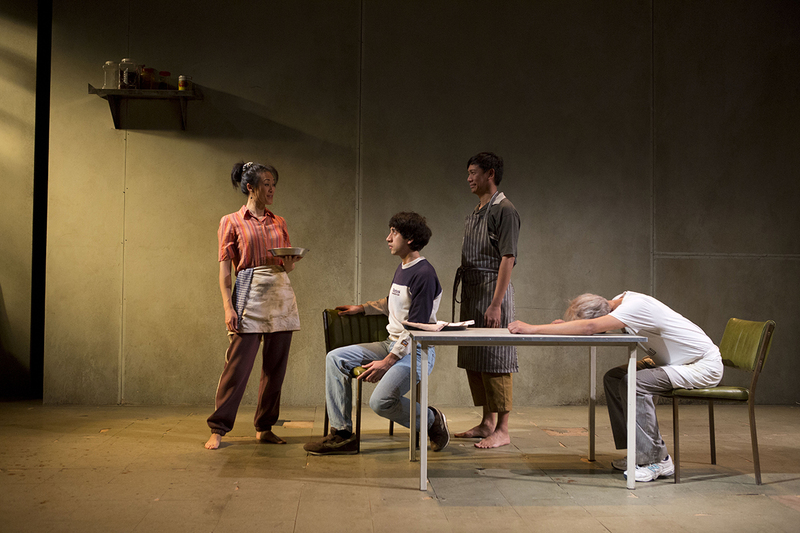 Thai-Australian playwright Disapol Savetsila’s Australian Graffiti has its moments: flashes of crisp, acerbic dialogue, grim physical comedy, occasional deft character delineation, vivid arguments and some emotionally sensitive exchanges. It’s otherwise underdone — character development is limited, critical motivation unexamined and the tonal shifts in language and mood between the scenes with and without a ghost character are minimal in the play’s easy-going naturalism, despite a press release claim for its “magical realism.” For real magic you need to turn to Apichatpong Weerasethakul’s Uncle Boonmee Who Can Recall His Past Lives, winner of the Palme d’Or at the 2010 Cannes Film Festival, in which ghosts can slip in and out of the world with unnerving effect. 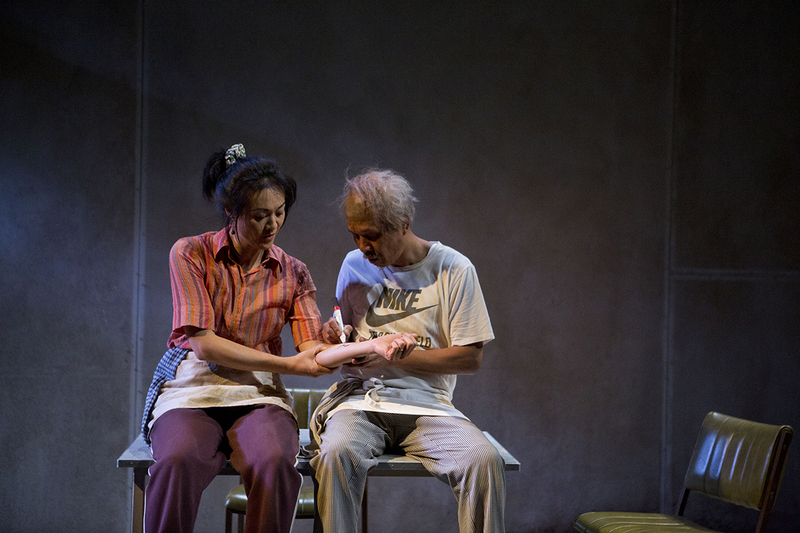 Faults aside, Australian Graffiti warrants attention since Savetsila is another in a number of new culturally diverse voices coming to Australian stages and performance spaces and needs to be heard, not least for the essentially dark vision entailed in his story of Thai-Australian business failure compounded by Australian racism and traditional Thai attitudes to filial duty. 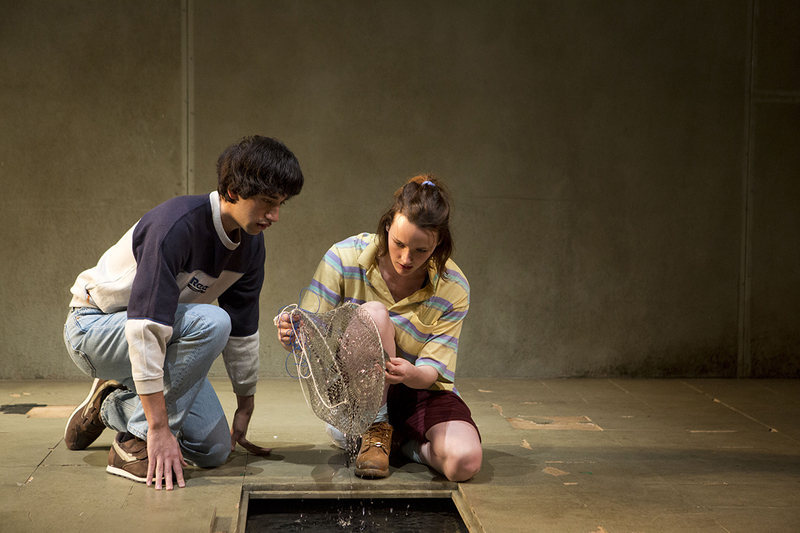 For all of its leavening comic moments, the play offers at its end only a sliver of hope for cross-cultural conciliation. Ben and Gabby’s meeting at the play’s end will be a test whether or not Ben can continue the relationship with the only friend he has ever made (if barely so) and if Gabby can separate herself from the racism of her policeman father and the townspeople. After their first meeting, she’s been resolutely hostile, feeling — because of Thai graffiti appearing on a church altar wall — that Ben and family have turned her private paradise into a hell. It’s not much of a town, but it’s hers, she declares with passionate conviction in one of the play’s stronger moments. But there’s little to indicate in the course of the play that she’s capable of the insights that come at its end. Ben, more convincingly, is determined to develop the friendship and break free from the restaurant and his mother’s insistence on gratitude for her sacrifices (“I’m building an empire for you!”). A girl and a ghost draw him out of a smothering cocoon which he knows has never been ‘home,’ although the options for him to remain in the town seem profoundly limited as his mother moves on. The executor of the graffiti is finally revealed and the symbols translated, but the meaning is enigmatic and the motivation behind it left infuriatingly unexplained — an opportunity lost to deepen both a character and the possibility for shared understanding between cultures in conflict. Why might someone be driven to commit such an act? It also prompts the question, why Australian Grafitti? Is it ironic? 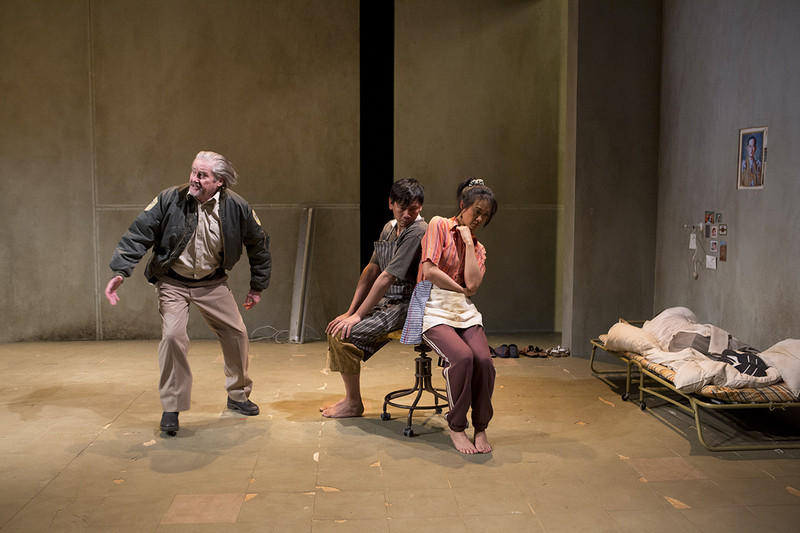 The graffiti in the play is Thai, it spoils and desecrates, but the disproportionate response (Ben accused, the violence, banishment in effect) and unleashed racism could be seen as graffiti writ large on the immigrant body. One of the strongest images in the play is of a small girl who is sighted recurrently peering into the restaurant until, with her black eyes, she becomes a frightening apparition for the nervy Boi, racism incarnate. A crowd forms, rocks are hurled, windows broken and we learn later Gabby was one of the perpetrators. Other moments linger: Loong’s enticing Ben to relish the freedom inherent in eating fresh mango and his wise discourse on entrapment with the metaphor of dogs happily fattened up to be eaten: “suicide by food,” he quips. His admission, “All I have is hindsight,” is one the play’s best from Srisacd Sacdpraseuth’s engagingly realised ghost character, who grumpily complains to Nam that when he was dying, her over-vigorous CPR broke a rib. His funeral, after days of lying about and ritually held in the restaurant building for fear of alerting authorities to the presence of illegal immigrants, becomes an aptly incendiary affair for a sower of doubt. Australian Graffiti’s limitations were underlined by a large, high-walled greyish, fluoro-lit set (representing a room adjoining the unseen restaurant) that, although amplifying Ben’s sense of homelessness, reduced the sense of intimacy and entrapment felt in the writing and produced, at times, over-projection from some of the performers (a late reference to the room as a former ballet studio didn’t compensate). Despite its occasional strengths and strong performances, Australian Graffiti’s appearance on an STC stage was clearly premature. It’s not without promise, but Disapol Savetsila deserves dramaturgy that will address the gaps in the work and opportunities to follow through on the complexities he conjures.